Here are a few reasons why a mascot will really boost your branding. 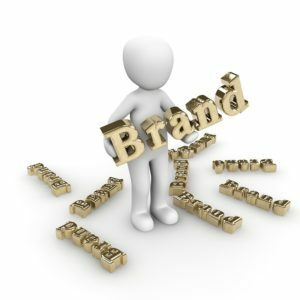 Building your company’s brand image is a key element in communicating to customers. There are several facets of your brand such as creating a logo, color scheme, and company message. But have you considered adding a mascot to your branding? Even if your business doesn’t seem like the right type for a mascot, here are a few reasons why it will really boost your branding. As humans, we are very interpersonal and social beings who like to feel connected. Adding a character to represent your brand is more attractive to customers because it gives them something to relate to. In a market that’s over-saturated with advertising, it’s harder for a customer to trust what they may see as a cold, unfeeling corporation. But adding a mascot with some personality will help customers to see that they are dealing with real people who not only care about what they’re offering but care about the customer too. Regardless of the type of business, every company should have a mascot. If you think that sounds unrealistic, then there’s a reason why. Often when people think of mascots, they imagine a cartoony talking animal. This is fun for many establishments but wouldn’t work for a company that wants to convey an air of sophistication to their brand. But a mascot can look more like an insignia if you prefer or an element of your logo. What’s important is to create a picture that your customers can associate the name of your brand with. Every business has its own story when you think about it. Your company’s mission statement contains the goals for what quality of product or service you want to deliver. In a way, your brand is a story. Whether you use your mascot to deliver messages and updates about your company or as a stand-alone character, your customers will piece together the narrative. This entry was posted on Monday, April 8th, 2019 at 9:59 am. Both comments and pings are currently closed.